I really enjoy raptor photography, definitely much more than any other type of bird photography. 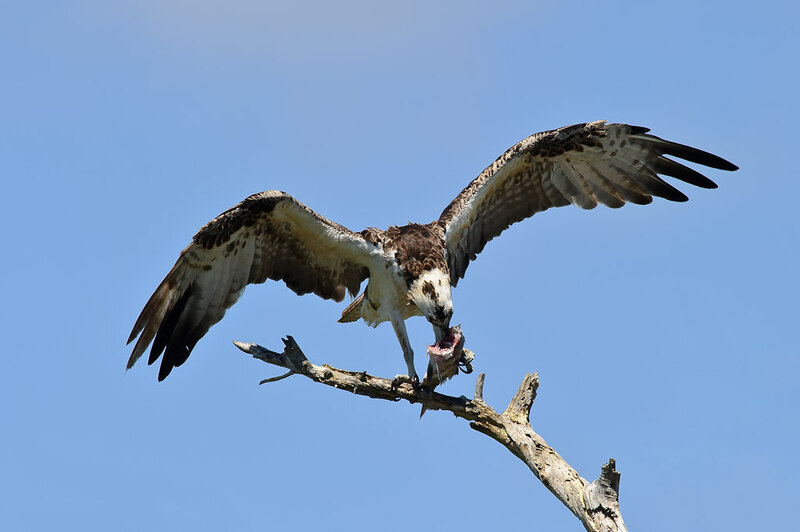 Birds of prey are powerful, aggressive, fast, agile, precise and even at times ravenous, having no mercy on their targets. They are also tough to photograph and get close to, since most of them (especially adults) do not like people and their presence. I have been studying raptor behavior and habitat during the last 3 years and have traveled to various locations both in Colorado and in other states to see and photograph these beautiful creatures. In this article, I will show you some of the latest pictures and videos of predators I took during the last month and will give you a few tips on photographing raptors. Find the YAS (Young and Stupid) – adult birds of prey, especially several years old, are extremely hard to approach. They always see you first and they know quite well when you cross their comfort zone. The situation with the youngsters (fledglings and older), however, is quite different. Young predators that have just learned how to fly are always very curious and they can often let people get extremely close to them. You can get some great shots, especially if they are ready to show off. If they are still in the nest and have not yet fledged, please keep away from them and do not disturb, since you will agitate their parents who might never return. 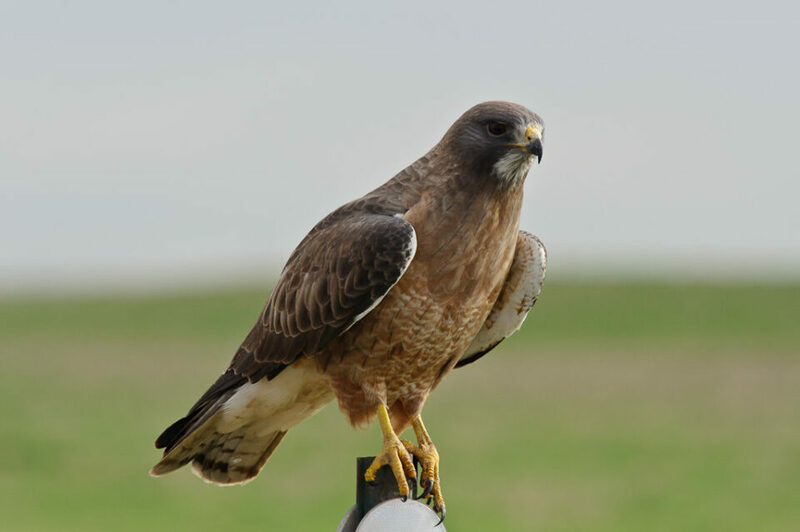 Use a blind – hunting blinds are never fun to set up and camp in, unless you are close to a breeding area or a spot where the birds of prey hang out. Your best blind is your car – most of the predators, especially the adults are very used to vehicles and they typically do not mind approaching vehicles. 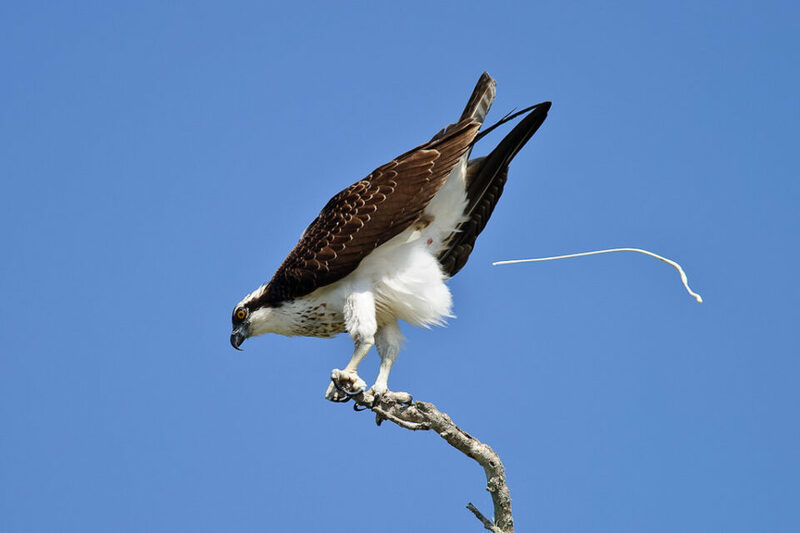 Obviously, this limits you to photographing predators perched on trees and electric poles close to the roads, but do not get discouraged – I have taken many great shots of predators from my car, especially when they take off. Approach slowly from a distance – especially if you are driving in a vehicle. If you are going fast and then making a sudden stop, you will most likely scare the bird. Try going slowly from a distance and get the bird used to your presence. Open your window long before you get to the bird. Slow down if the bird raises its tail – when predators raise their tail, it means that they are getting agitated and will be ready to take off anytime soon. If you see a bird doing that, go even slower, which should calm the bird down a little. Nocturnal predators are extremely tough to find and photograph, since they only start appearing 30-45 minutes after sunset and disappear before sunrise. For challenging light conditions, it is always a good idea to have a tripod with you. While not very practical, a tripod would help you keep your camera stable while allowing you to decrease ISO. On the side note, I have recently received the Nikon 300mm f/2.8G VR II lens and I’m waiting for the new Nikon 2x TC to do some serious testing. I am really enjoying this lens, so stay tuned for more predator photos! Nasim, excellent article and photos as always. At the end you mentioned you were getting the 300mm f/2.8 VRII and 2.0TC. I just bought this exact setup about 30 days ago moving up from the 300mm f/4. So far I have shot mostly college sports with the lens ) and all I can say is WOW… this lens is fast (both from a light perspective as well as focusing). I’ve never really pursued bird photography and I have really been thinking about that lately, so your article is both great timing and very helpful as always. Thanks for sharing and keep up the great work! Nasim, yes the current baseball photos were shot with the 300mm f/2.8 and a rented 20TCIII. I was in the outfield taking the picture of the batters! There were literally no corrections on those photos other than a slight curves adjustment to bring out the mid-tones a little. A couple images could have benefited from some post-production noise cleanup, but I get that at times even with the 70-200mm f/2.8 and 300mm f/2.8 when I either miss the mark with the shot settings or the environmental conditions cause it. In regards to video I have really done a lot more over the last year with it. I think I have reached the limits of DSLR video and now I am looking into getting a traditional video camera for the base workload and leveraging the D3s and 5D Mark II when the lighting conditions warrant it or I simply don’t have the video camera with me. It has been a fun journey and a huge learning curve along the way. People are just crazy about DSLR video. I always tell people that I am crazy about producing the best possible image or video and I don’t care how I get there. It seems a lot of people are caught up in the “technology” vs. the art and science of producing the best possible product. It definitely is a lot of fun and it will be interesting to see where all this goes over the next couple of years with the intersection of DSLR and video. I suspect my bread and butter will always be photography, but the video side is a lot of fun too. Wow, that’s very impressive, can’t wait to get the TC-20E III tomorrow! In terms of video, you are right – everybody is so stuck in the DSLR video that there are some haters out there that want to switch to Canon just because Nikon has no 1080p…drives me nuts! :) I don’t shoot video, but I feel that 720p is more than enough for most needs and 1080p is only necessary for serious video for production purposes. Nikon will catch up in the video segment very soon, but a DSLR is first a digital camera, not a video camera, which is why Nikon has released 1080p yet. In addition, video requires plenty of processing power and the current Expeed processor is simply not capable of handling so much video bandwidth. The Nikon D4/D400 will surely have a new processor and I’m sure will have 1080p + better autofocus system, maybe with a faster contrast detect. have you ever thought of presenting your how-to manuals and photography tips as PDF download? By the way, I like the new design except for the font. It’s hard to read on the screen and there are some strange gaps between the letters sometimes (like in manual or some). In terms of the website, could you please provide a link with a more detailed description of what you are seeing? I’m still fixing bugs here and there and need to make sure that everything looks good. 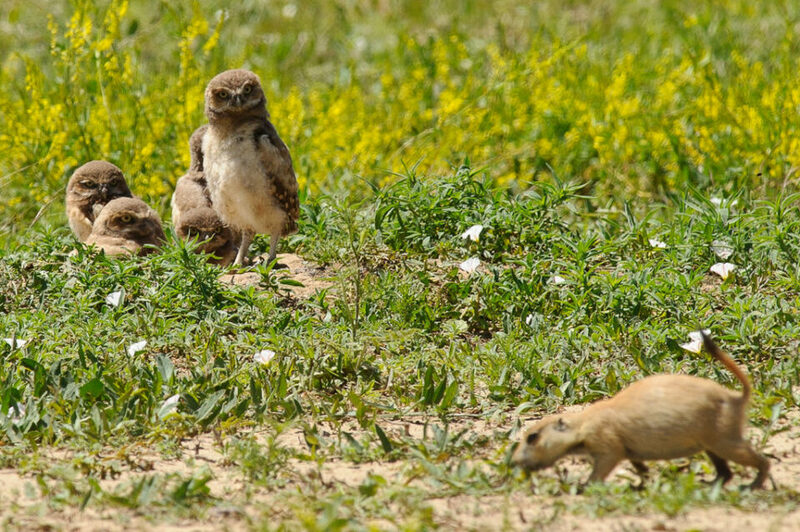 I have only in the past month or so found your site and absolutely love it and the fantastic photos you’ve put up, especially the burrowing owl on another post. I do notice you seem to be a lot more positive about using teleconverters than a lot of other photographers, do you think that given Nikons excellent low light performance they are becoming more useful in a wider range of conditions? I have been busy reading up on all your old articles and between yourself and John Shaw’s 1984 publication ‘The Nature Photographers Complete guide to professional field techniques’ (a not so catchy name for a great book) my rate of good photo’s has shot up from about 1 in 20 to 1 in 10 so many thanks for the tips you keep posting. My main interests are sports and nature where I use a Nikkon D200 and either a Sigma 70-200mm f2.8 (mainly sports) or a Nikkon 80-300mm f4.3-5.6 (an old second hand lens that gives me great results). I also have a Sigma 150-500mm VR lens but I’m rather disappointed in the quality of that one, though I do wonder if that is because the tripod I have is too light weight and so not stable enough for this monster. However I am now looking to improve my camera and looking to jump to a “full frame” sensor camera, looking of course at the D3s given my interests but I am wondering if you think that the much rumoured D4 will make a sufficient step up from the D3s to warrant waiting another 6 months or do you think the D4 will be similar to the D3 range but with 1080p HD video? Many thanks and looking forward to many more enjoyable and informative posts. Mark, thank you for your feedback, I’m glad that you are enjoying reading our articles and finding them useful for your photography. In terms of teleconverters, yes, I feel that the low-light performance of the full-frame bodies such as D700 and D3s does make teleconverters look better than before. One teleconverter nobody complains about is the 1.4x TC-14E II, because it almost has no impact on sharpness and contrast on any of the pro-level lenses. I use it the most and I am currently testing the 1.7x and 2.0x TCs with the new Nikon 300mm f/2.8G VR II. Now as far as your question about waiting, the Nikon D3s is a minor update to D3, which means that the next generation Nikon D4 will be a whole new beast with a new and powerful Expeed processor that can handle 1080p video and maybe even higher FPS. In terms of image quality, I’m expecting more resolution somewhere between 16-18 MP with the same or similar high ISO noise performance as the Nikon D3s. So is it worth waiting for? If you are not rushing now, then absolutely! I’m hoping that they will add GPS capability into the camera, but I doubt it will happen…will probably be introduced on a more basic camera such as D3000/5000 first. You love bird shooting a lot, the pictures tell your passion. OK, you are very quickly becoming my favorite “tips” site on the web. This is a two-edged sword. On the one hand I think it will make me a better photographer. On the other, I think it is increasing my lust for equipment I can’t (or at least shouldn’t) afford. Your stalking tips are very helpful. As an avid birder for decades my ability to identify birds at a distance has gotten pretty good, but that doesn’t mean squat when it comes to photography. I’ll be trying these tips on the local farm roads this winter for raptors. 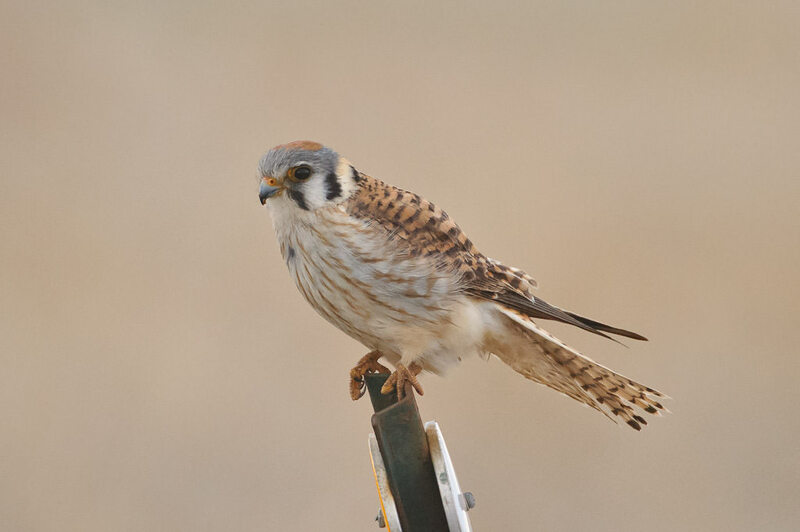 American Kestrel is one of my wife’s favorite birds, and it would be nice to get some decent shots that at least approach what you have above. 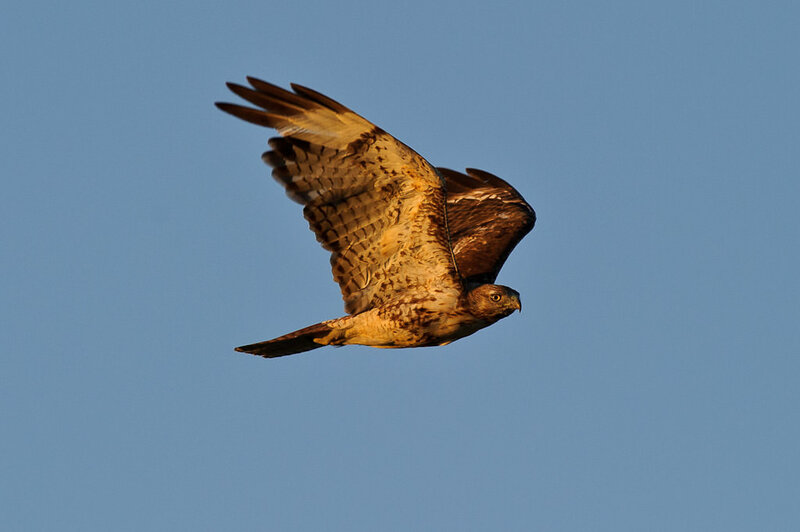 On an ID note, check the bird labeled Broad-winged Hawk. I’m pretty sure it’s an intermediate morph Swainson’s Hawk. The white throat, very indistinct barring below the darkish chest, and the fine dark tail bands all point to Swainson’s. 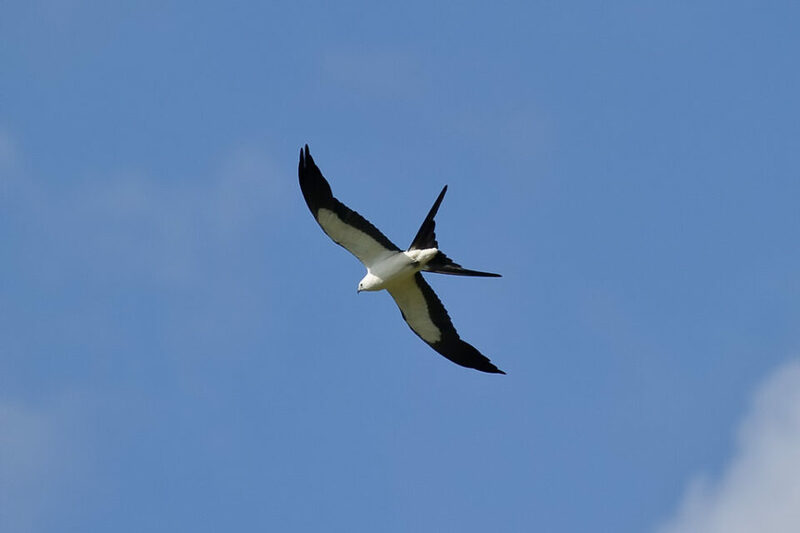 The bird is an adult, and Broad-winged should have more distinct barring below the chest patch, and should have roughly equal size white and black bands in the tail. Swainson’ are highly variable, making ID of intermediate birds a bit difficult. I am clicking with a Nikon D 5000 and Tamron 70-300mm also took lots of bird photos, you may see some of the early clicks at the google site as also in Flickr.. manik mukhopadhyay’s photo. I am not able to get much improvement in bird photography with the above lens and camera, is it worth to go for a better Nikon lens, will the sensor of D5000 can improve the photo much if a better lens is fitted? Finally some photographers say that canon is a better camera than nikon if one chooses more on bird or wildlife………. what do you say. 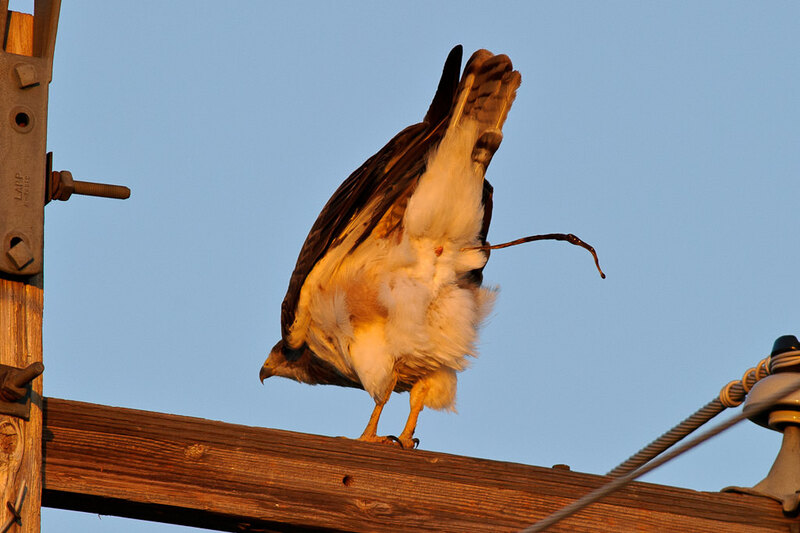 i need images of diurnal birds of prey for my book to be published soon in hebrew lang. , if you have intrest to send me a good ones i surly use them with your mail and credit, i need all eurpean and middle east and also species. These were really good tips. Thanks so much for the advice. Young hawks are definitely a lot easier to capture!